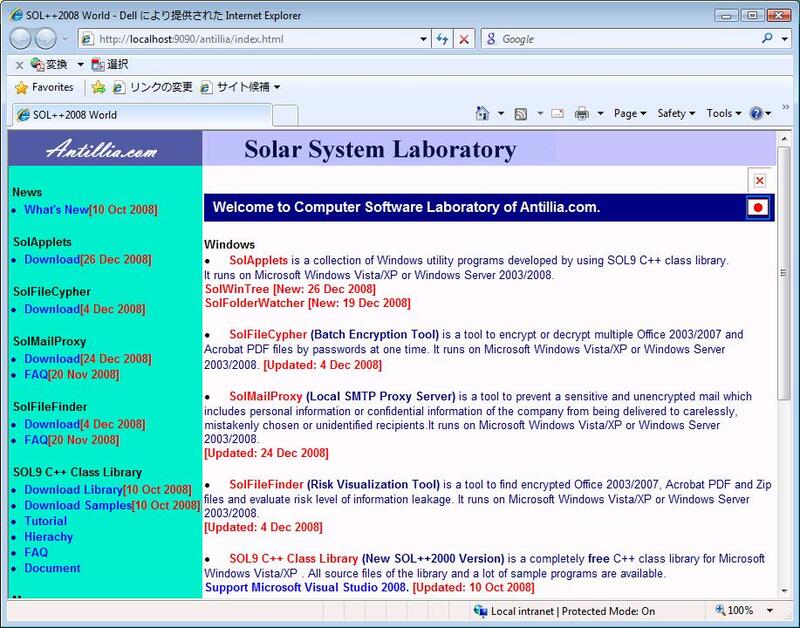 SolWebServer is one of the simplest HTTP WebServer.See Figure 1. To set parameters for this web server, please select [Tool] menu and select [Server Setting] item. 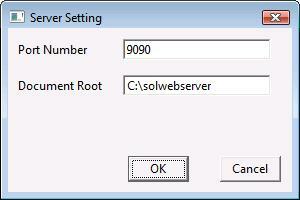 Please set the [Port Number] and [Document Root] in the [Server Setting] Dialog. See Figure 2.
remote real web server site. See Figure 3.